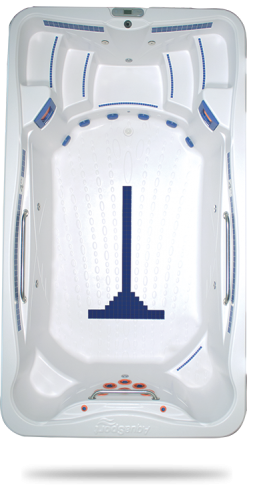 The revolutionary AquaFIT swim spa line from Dimension One improves the quality of life for you and your family. 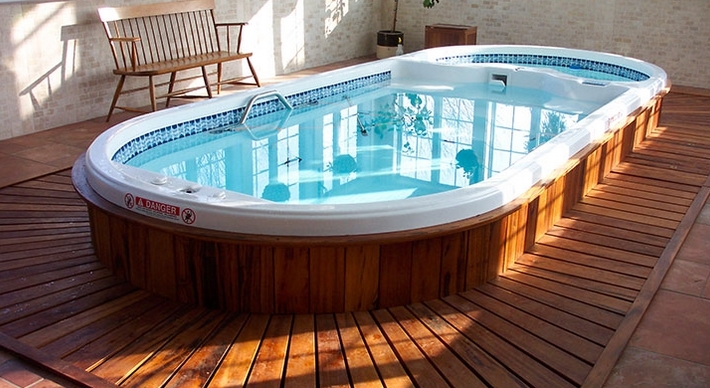 Swim, stretch, row, jog, play and relax in the same swim spa. It’s your own personal gym, pool and spa in one! Swim spas can be installed in-ground or above ground and do not require the permits of a regular swimming pool. Stop in to our Dimension One Spa Center on Fuller Street and talk with a D1 spa expert to learn more. Or contact us any time!